1867 S Dovetail Drive Unit #2, Fort Pierce, FL 34982 - 2 BED/ 2 BATH - 1437 SQFT - MLS# RX-10515416 - The Lakes At The Savannahs Condominium - City of Fort Pierce - St Lucie County - Home Made Real Estate. The # 1 South Florida Home Search Website! Better than Zillow! 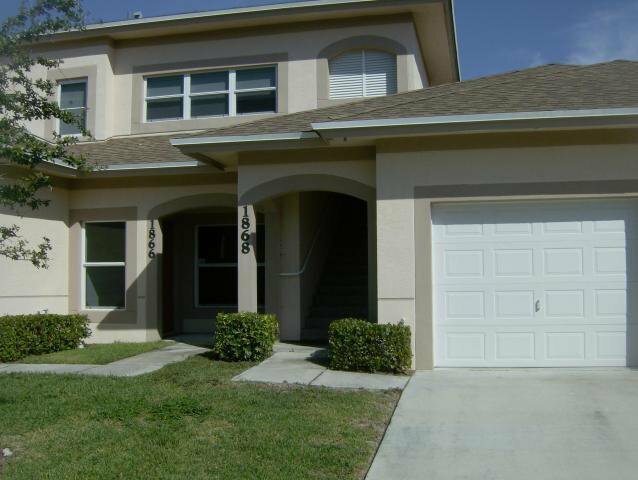 Search Foreclosures, Single Family Homes, Town Homes, Condos, Short Sales, and more! Create FREE Neighborhood market activity reports! What's Your Home Worth? Upgraded appliance Pkg, Laminate Wood Floors Upgrade in Great Rm, and Kitchen. Balcony access from both bedrooms. Small Den adjacent to great room. Coffered ceilings. Great community with pool, workout rm, tennis, and close to beachs and shopping.